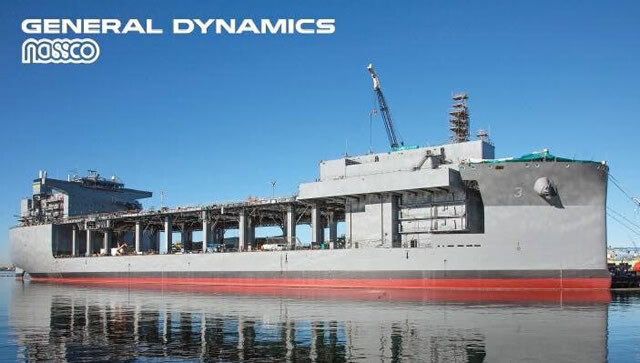 General Dynamics NASSCO, a wholly owned subsidiary of General Dynamics, on Saturday christened the U.S. Navy’s newest ship, the USNS Lewis B. Puller (MLP-3 AFSB). The ship is named in honor of the late U.S. Marine Corps Lieutenant General Lewis “Chesty” Puller, the most decorated Marine and the only one to be awarded five Navy Crosses. The Saturday morning christening ceremony took place at NASSCO’s San Diego shipyard with the commandant of the U.S. Marine Corps, General Joseph F. Dunford, Jr., as the ceremony’s principal speaker. Ms. Martha Puller Downs, daughter of General Puller, served as the ship’s sponsor. She christened the ship by breaking the traditional bottle of champagne against the vessel’s hull. 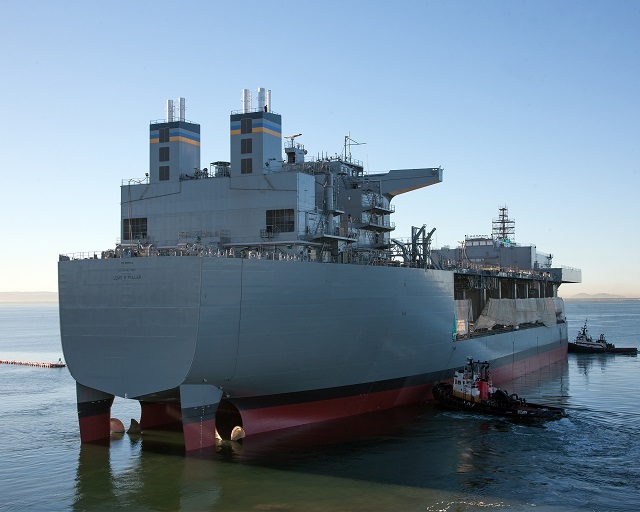 This third Mobile Landing Platform (MLP) is the first ship of the class to be configured as an Afloat Forward Staging Base (AFSB), adding a flight deck, berthing, fuel storage, equipment storage, repair spaces, and accommodations for up to 250 personnel. The ship is capable of supporting missions including counter-piracy operations, maritime security operations, humanitarian aid and disaster relief missions and Marine Corps crisis response. 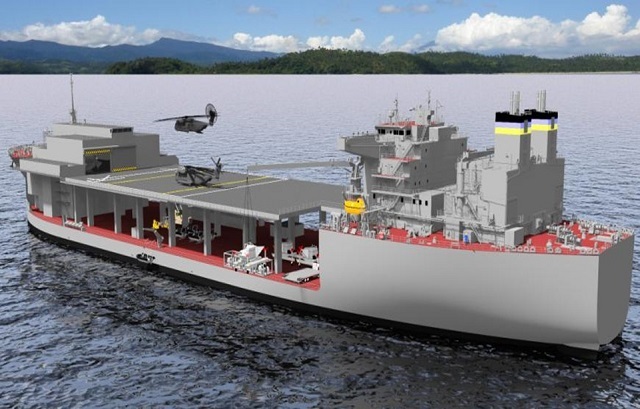 USNS Lewis B. Puller will be delivered to the Navy in the second quarter of 2015.